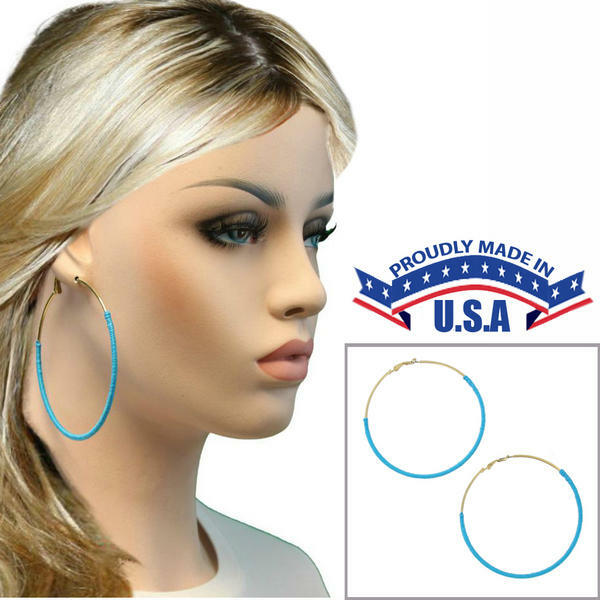 Ky & Co Large Gold Tone Hoop Earrings Turquoise String Wrap USA Made 3 1/8"
These large gold hoops are wrapped in turquoise color string in order to give it an updated, colorblock look. These huge gold tone hoop earrings are wrapped in turquoise thread for a modern take on the classic oversized hoops. Hypo-allergenic posts for sensitive ears!